This luxury resort offering great hospitality and various activities like diving, cycling and bike tours is a perfect haven for your happiness and delight. The four swanky restaurants serving lavish buffet meals are truly an icing on the cake. The staff is completely accommodating to make your stay extraordinary. Shandrani Beachcomber Resort & Spa is a 5-star property located on a private peninsula of Blue Bay in Mauritius. Other than being renowned for its world-class amenities, the hotel is a hot favorite for couples and families. The Shandrani Hotel, Mauritius allows guests an enriching living experience with a myriad of land and water activities for honeymoon couples and families to indulge in. The Golf Course of Shandrani Resort and Spa is located within 2 miles of the hotel and is the focal point of the hotel. The hotel also caters to an in-house spa known as Alfresco Spa and fitness center for relaxation with the natural greenery and virgin blue waters of the beaches at the hotel. This property provides guests with all-inclusive accommodation services along Shandrani Beachcomber is an 11-minute walk to the beach, which unravels a unique and pleasurable discovery for guests and travelers from around the world. The hotel creates the perfect stay for guests by maintaining contemporary designs mixed with a tinge of modern art and dcor. Want best Mahebourg Packages with this Resort? Surpassing the value for money, Shandrani Beachcomber Resort & Spa tends to spoil and pamper nature enthusiasts with premium facilities and top-notch accommodation services. Guests can indulge in water sports like snorkeling, water skiing and water surfing at the beach. Shandrani Beachcomber Resort & Spa amenities include a fitness center, Spa and sauna for relaxation, swimming pools with lounger poolside for adults, and a tennis court to enjoy an evening game with friends and families. One can enjoy a game of Golf at the Golf Course located within two miles of the hotel. The hotel offers a never-ending series of amenities like kids entertainment, beauty treatments, various indoor and outdoor sports. The hotel boasts of four in-house restaurants of Shandrani Resort and two bars that offer guests the ultimate live-by-the-beach experience. The Le Grand Port and Le Sirius Restaurants allow guests to start the day with an early morning sumptuous beachside buffet. The Teak Elephant Restaurant at the hotel is highly popular for its Thai specialty dishes served in a tranquil ambiance for guests strictly 12 years and above. Bringing Italian cuisine together with an international wine selection, the Ponte Vecchio Restaurant can create an intimate and romantic evening for guests with their loved ones. Guests can enjoy evening snacks or quiet late evening cocktails at Le Sirius and Blue Bay Bar. 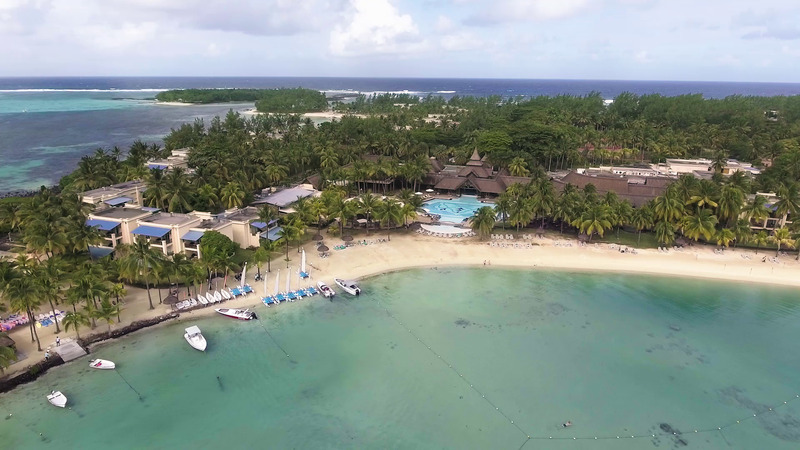 The hotel creates a welcoming ambiance for guests to reconnect with nature and experience the fauna and flora preservation of Mauritius at the Iles aux Aigrettes nature reserve amidst numerous other land activities and water sports and enhances the experience of the guests. Shandrani Hotel in Mauritius is only a 10-minute drive from the Sir Seewoosagur Ramgoolam International Airport. Yes, the hotel provides airport transportation for guests. Shandrani Beachcomber Resort & Spa is a popular destination for guests to indulge in a myriad of nature, sports and relaxation activities by the beach. One can take a trip down the Ile aux Aigrettes Nature Reserve or join the hotels diving academy to participate in a plethora of water sports. Yes, the Le Grand Port Restaurant offers a delicious breakfast buffet that comes complimentary with their guest rooms. Yes, guests can avail of exclusive Shandrani Beachcomber all-inclusive packages like the Serenity Plus, which includes complimentary spa services, free breakfast buffets, premium access to the golf course and kids club and more. Shandrani Hotel in Mauritius is the ideal setting for honeymoon couples and families looking to enjoy adventures both on land and in water. Take a day to relax at the beach or explore the natural preserve of Blue Bay in the most stunning and luxurious 5-star property along the East coast. Shandrani Resort & Spa features stylish and spacious rooms added with vibrancy and equipped with top-class amenities for a lively vibe and experience. The unforgettable memories that one creates at the Shandrani Hotel is something that can be cherished and remembered for a lifetime. With a direct access to the Blue Bay Nature Reserve, one can discover the enriching sea life and nature reserve in its pristine form that makes up for a beautiful living and staying experience at the Shandrani Beachcomber Resort & Spa. Life on this beachfront property is a truly magical, once-in-a-lifetime experience for adventurous individuals and nature lovers.